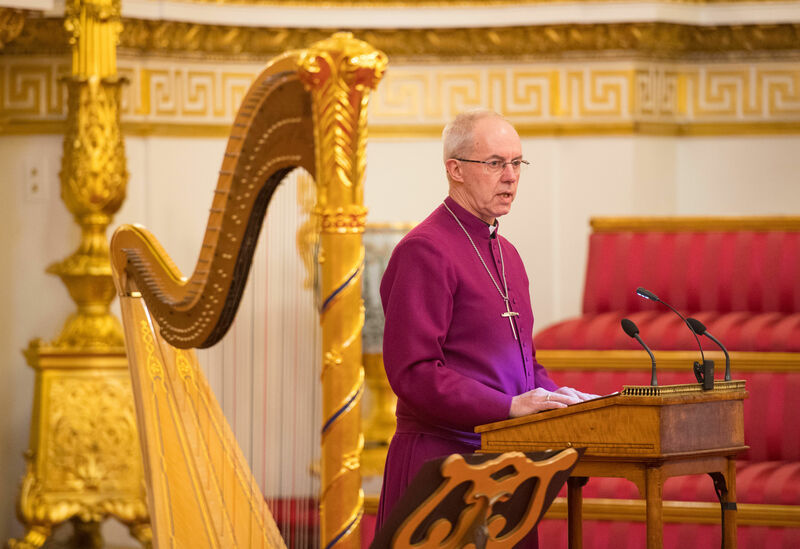 The Most Rev Justin Welby paid tribute to Charles’s “prophetic voice on the environment”, his work supporting disadvantaged young people and “concern” for the armed forces in a speech at a Buckingham Palace event hosted by the Queen. 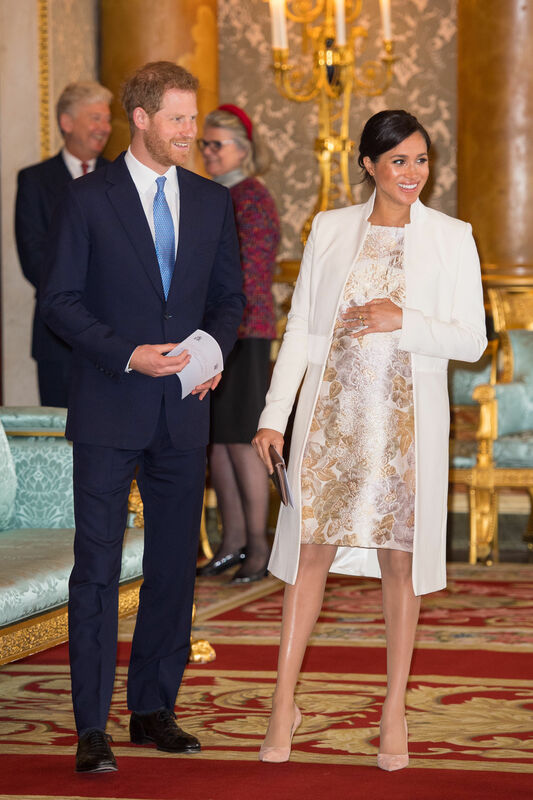 The prince was surrounded by his immediate family at the reception, with his wife the Duchess of Cornwall by his side along with the Duke and Duchess of Sussex and Duke and Duchess of Cambridge – a symbolic gesture of support for the future king. Leading figures from Wales were also invited, including Falklands veteran Simon Weston, the band Stereophonics, Game Of Thrones star Owen Teale and First Minister of Wales Mark Drakeford. The gathering of senior royals, Prime Minister Theresa May and representatives from Charles’s Welsh charities celebrated the moment on July 1 1969 when the Queen formally invested her son and heir with the title Prince of Wales at Caernarfon Castle. The Archbishop said about Charles: “From service to young people and those caught in poverty, a prophetic voice on the environment, proved by time and events, concern for all who serve our country from the armed forces to the police, compassion for the suffering and humour with the brave and rejoicing, the list goes on and on. “The investiture was unique. Seldom can a coming-of-age have had such a setting; seldom can the weight of expectation have been so great. Charles’s brothers the Duke of York and Earl of Wessex were not at the event, with Andrew attending private commitments and Edward at an official engagement, but the Princess Royal was among the guests. Stereophonics frontman Kelly Jones, who was joined by bandmates Richard Jones, Jamie Morrison and Adam Zindani, described how money from Charles’s flagship charity the Prince’s Trust helped set the band on the path to stardom. After meeting the prince, he said: “We applied for a couple of grants from the Prince’s Trust because we needed some money for some speakers and Prince Charles came down to Pontypridd and we met him and we had some funding from them and that got us on the way. Jones said about Charles: “I think he’s become almost part of the Welsh culture, he’s always been there. The band also chatted to William, and the group’s rhythm guitarist Zindani said the duke told them about using the police lights to help him get Prince George to school on time. Kensington Palace later said this was a joke by the duke, and it had never happened. 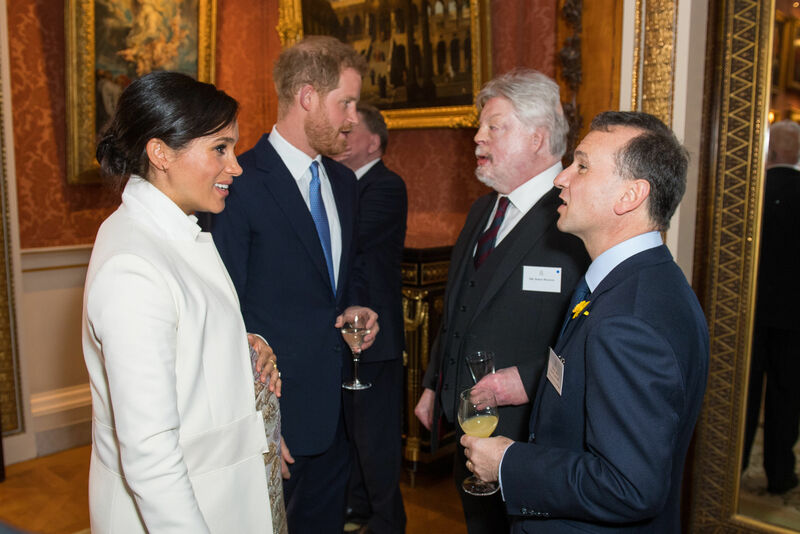 Mr Weston, 57, a former Welsh Guardsman who suffered severe burns when the vessel Sir Galahad was attacked during the Falklands War, chatted to Harry. The Prince of Wales and The Duchess of Cornwall meet members of the Welsh band @stereophonics. 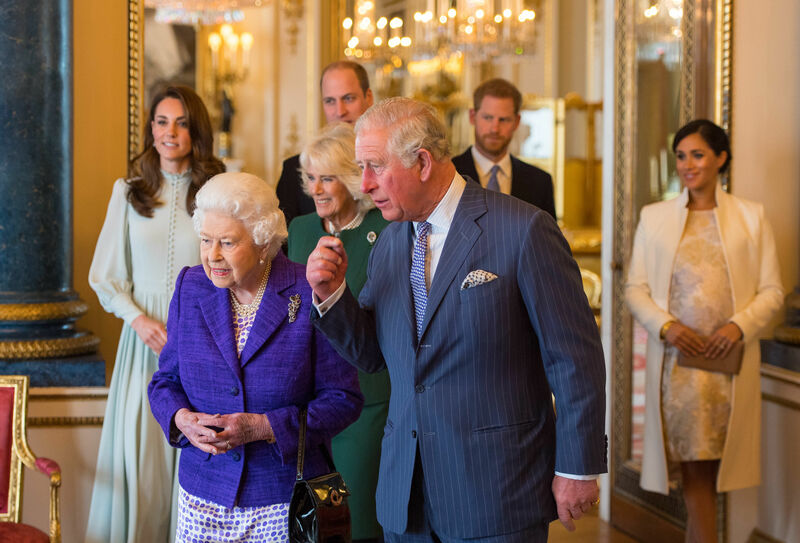 He said later: “It was wonderful to be invited to these celebrations to mark 50 years since the Prince of Wales’s investiture. Mr Weston, president of Debra, a charity which supports those with a genetic skin disorder, said they talked about wound healing and a new laser treatment to deal with scar tissue. He added: “We also joked about Wales defeating England in the Six Nations rugby. “I also warned him and the duchess it serves him right as they will be getting plenty of sleepless nights when the baby is born. “He said if they have anymore than two it will serve him right,” Mr Weston added. Charles was created the Prince of Wales aged nine on July 26 1958, and among the guests at the palace who saw him invested with the title 11 years later was Sir Nicholas Soames, his former equerry. Recalling the day, he said: “It was the most beautiful ceremony, Lord Snowdon had created a sort of set within the walls of the castle that was very contemporary but the service is timeless, the investiture of a prince of Wales is one of the oldest services there is – and it’s very, very beautiful.